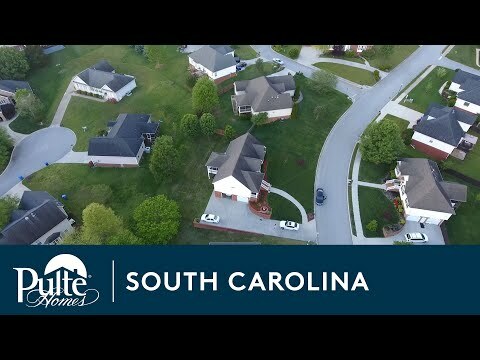 Enjoy resort-style living every day in beautiful Berkshire Forest, a Pulte Homes community of single-family homes in the popular Myrtle Beach master planned community, Carolina Forest. Choose from four home collections with floorplans for every lifestyle and prices for every budget. Amenities are extensive and include a Residents Club, swimming pool, basketball and tennis courts, bocce ball and a nearby oceanfront Beach Club. The life you want to live is waiting for you at Berkshire Forest. Explore this community and see for yourself. The Cambridge series has wooded and water sites available, mature trees, vinyl siding, and features large and spacious homes. The Prescott series offers spacious sites with large yards for family fun, lofts and bonus rooms, homes with up to 5 bedrooms and is great for first time home buyers. Water and wooded sites are available with large home sites, cul-de-sac lots, and is in close proximity to the amenity center. The light-filled one-story Rosemont's open floorplan offers three bedrooms, including a generous Owner's Retreat, plus a gourmet kitchen with a large island. The single-level Morgan floorplan showcases open main living areas and features three bedrooms and flexible space. The Compton’s open concept modern design, with kitchen island overlooking the great room, makes entertaining a breeze. The spacious Aspire boasts three bedrooms, upstairs loft, Everyday Entry, gathering room, and versatile first-floor flex space. The Hampton gets high marks for flexibility with an upstairs loft, downstairs flex space, and a multiuse room with half bath. You'll find ample space in Mitchell with a large Owner’s Suite, formal dining room, upstairs loft, and downstairs flex room. The Abbeyville has an open layout, an integrated kitchen, café, and gathering room with an adjacent flex room for an office or den.